September 21, La Pairelle/Namur, Belgium. 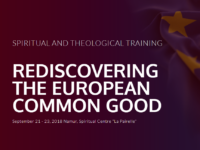 The weekend-long spiritual and theological workshop has begun at La Pairelle near Namur (Belgium), entitled “Rediscovering the European Common Good.” Over sixty people learn about, discuss, and influence the present and the future of the European continent and the E.U. From the European project as “providential” to the emphasis of virtue in times of crisis, the first day evolved around the insights on the history of the E.U. as well as the focus on a critical migration debate. You can follow the event through photos here. The weekend workshop was introduced by Marie de Saint-Cheron and Martin Maier SJ, representing the co-organisers the Passion for Europe group and the Jesuit European Social Centre (JESC). 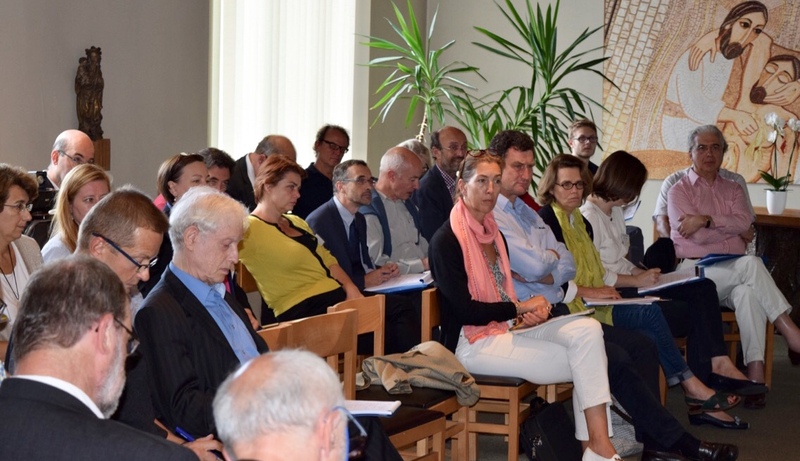 In her opening speech and presentation, Victoria Martín de la Torre emphasised the importance of the dream, the vision and the sources that the “providential” European project has been based upon. 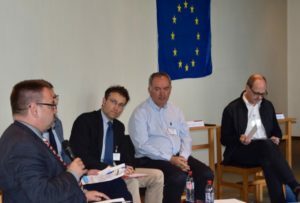 The first panel on migration flows opened a heated debate on the “chaos” of the current so-called “migrants crisis.” Stephen Ryan, from the European Commission, emphasised the need of a “controlled migration” since “uncontrolled migration creates insecurity in our citizenry.” José Ignacio Garcia SJ, from the Jesuit Refugee Service – Europe, focused on the ambivalent role of the NGOs that now even themselves a question that should have an obviously positive answer: “Why should we protect people?” – something that has been dealt with well and that “we need to calm down the situation” as “we are getting neurotic.” Michael Schöpf SJ, from the Center for Global Questions, declared “I cannot be a Christian without the recognition of the other person [of others] in full humanity.” For Schöpf, “it is not about charity but about virtue” when dealing with the crisis, emphasizing “practice.” Torsten Moritz, from the Churches’ Commission for Migrants in Europe, called for consistent and necessary action. The late afternoon ensued with work in groups, the results of which will be presented on Sunday. 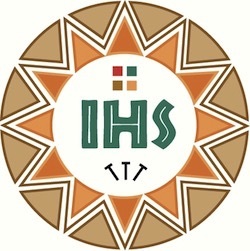 In the evening, the participants enjoyed and discussed a video of Pope Francis’s speech on Europe and an ensuing social hour. Stay tuned for more updates on Saturday and Sunday.